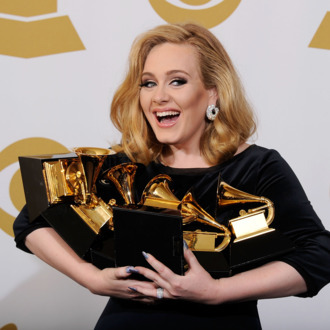 It was a slow week on the album side of the charts, which means that 75,000 copies was enough to land 21 back at the top of the Billboard “200.” This is Adele’s 24th nonconsecutive No. 1, tying her with Purple Rain and the Saturday Night Fever soundtrack. It also raises an important question: Has there been a national outbreak of 21 thefts? Are we buying copies for every room in the house now? Please explain.